Raleigh has traditionally been included with Durham and Chapel Hill as part of the Research Triangle — the forefront of science, technology, and innovation. But, this city has developed a distinct personality that truly separates it from simple geographic shorthand. Today, the capital of North Carolina is booming with new business from the fashion and craft brew industries to art galleries and innovative restaurant concepts. If you find yourself with a free weekend to explore, Raleigh is an ideal choice. As any seasoned traveler knows, all good weekends start with a satisfying meal, and the fare at Beasley’s Chicken & Honey never disappoints. The portions are large, so if your appetite can’t keep up with the size of the menu, try splitting some items so you can experience more of it. The quarter fried chicken is a great place to start, and we suggest pairing it with a side of Ashe Co. pimento mac-n-cheese custard and buttermilk biscuits with butter and honey. You can’t go wrong with the mixed greens, either. If you’ve paced yourself well and have room for it, the peach pie is exceptional and only offered seasonally. You’ll be glad you got it. Now that you’ve got a good meal in you, it’s time to hit the streets for some shopping and sightseeing. Take a walk a few blocks away to Nash Square, where you’ll find plenty of greenspace and relaxing park benches. Then, it’s on to the Raleigh Denim Workshop + Curatory for some lessons in all things denim. Founded by owners Sarah Yarborough and Victor Lytvinenko, the Raleigh Denim Workshop is a masterclass in quality jeans. Once you step inside the retail shop, take a peek through the glass windows at the active workshop and see more of the people behind the product. Next, we recommend a trip to both the Videri Chocolate Factory for a frozen hot chocolate (your taste buds will thank you) and Father & Son Antiques. If you’ve worked up an appetite again, we recommend a visit to Brewery Bhavana, just down the street from Beasley’s. Located in a beautiful bright and airy space, Brewery Bhavana is a gathering place offering a brewery, dim sum restaurant, flower shop and bookstore. The marble bar top and sleek beer taps make for a stunning visual backdrop and create an atmosphere perfect for both group and more intimate get togethers. Once you’re finished there, walk through the streets of Downtown Raleigh and stop in The Zen Succulent at 208 S. Wilmington Street for some fresh greenery. Then, just a few streets away is Read With Me, a quaint and charming kids bookstore and art shop that’s also worthy of a visit. Finally, round out your trip with some of the best Laotian food in the city at Bida Manda. This incredible restaurant is the brainchild of siblings Vansana and Vanvisa Nolintha, and named in honor of their parents in Laos. (Bida Manda is the Sanskrit ceremonial term for mother and father). The menu is full of flavorful dishes with traditional ingredients, and we recommend multiple visits to sample as much of it as you can. 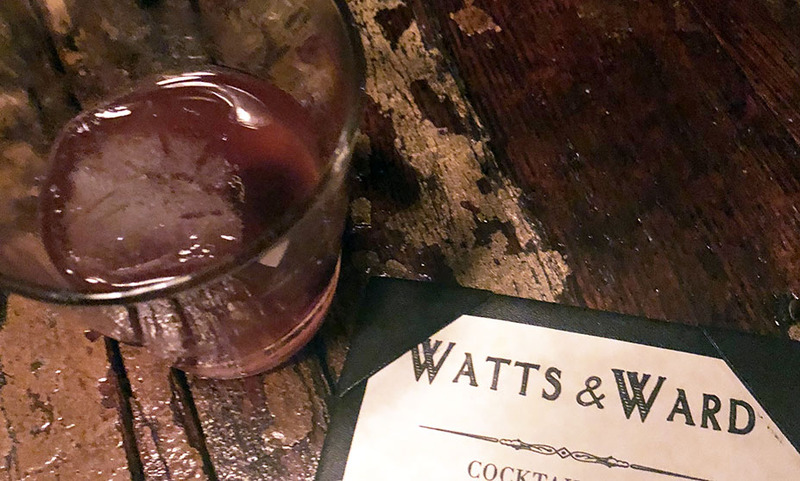 Close out the day with some handcrafted cocktails in a speakeasy-style hideaway next door at Watt’s and Ward. The Bourbon Bramble and Blood & Sand are cocktail favorites, but the atmosphere alone is reason enough to visit. Password for entry not required (though a $1 lifetime membership fee is). Now that you know a little more about what Raleigh, North Carolina has to offer outside of the famed Research Triangle Park, we hope you’ll tag us in some of your upcoming travel experiences on Facebook and Instagram, @lifestylecommunities.